The rapidly growing IoT industry sets new demands for MEMS devices, the central building blocks of smart systems. Advanced MEMS devices are commonly built on thick-film bonded Silicon-On-Insulator wafers (BSOI) but the tightening requirements on SOI wafer specification and device layer thickness uniformity in particular are driving traditional planarization technologies like CMP to their limits. Okmetic’s new process with superior thickness variation control fully independent of SOI film thickness and suitable for high volume production complements today’s manufacturing technologies perfectly. This new trimming technique for thick-film SOI processes reduces film thickness variation by a factor of five achieving a typical thickness variation of 20-30 nm (1σ) across a 200 mm SOI wafer. This is clearly beyond those achievable through traditional BSOI volume production. The process performance has no equal for film thicknesses above 5 µm but it can also be used in applications previously dominated by alternative SOI technologies in the range < 2 µm such as specific high-performance MEMS sensors, SOI-based smart power devices and silicon photonic devices. The process also brings significant advantages for MEMS applications in which SOI film thickness variation is critical, such as silicon oscillators and pressure sensors. Mr. Lempinen received his M.Sc. in Materials Physics in 1999. 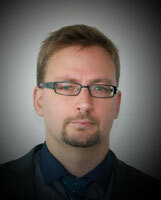 Mr. Lempinen has over 15 years of experience in Silicon based material engineering. He has worked for Okmetic since 2000 and held various positions related to R&D, process engineering and applications support. Currently he is working as Senior Manager, Customer Support being responsible for the company’s global technical customer support organization. Prior to his time at Okmetic, Lempinen was involved in photovoltaic research in Electron Physics laboratory of Helsinki University of Technology, Finland and Microelectronics Research Center of Iowa state University, U.S.A.